Tallahassee Christian College and Training Center offers higher education and training courses in Florida, USA. The college provides a wide range of courses for adults of all ages. 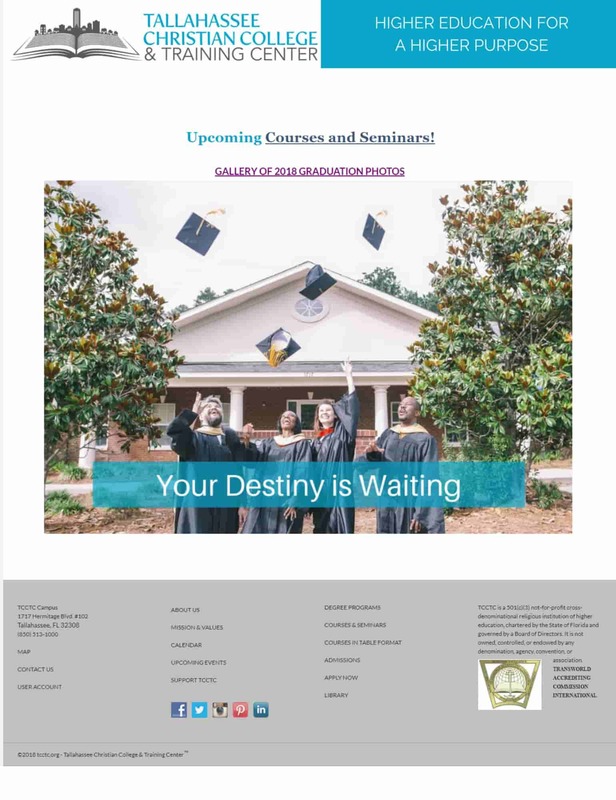 The website is a useful tool for all students and the college. First of all, students can register and pay for courses online because the website uses WooCommerce. This is integrated with Moodle thanks to the free Edwiser Bridge plugin, so the courses are automatically imported as WooCommerce products. 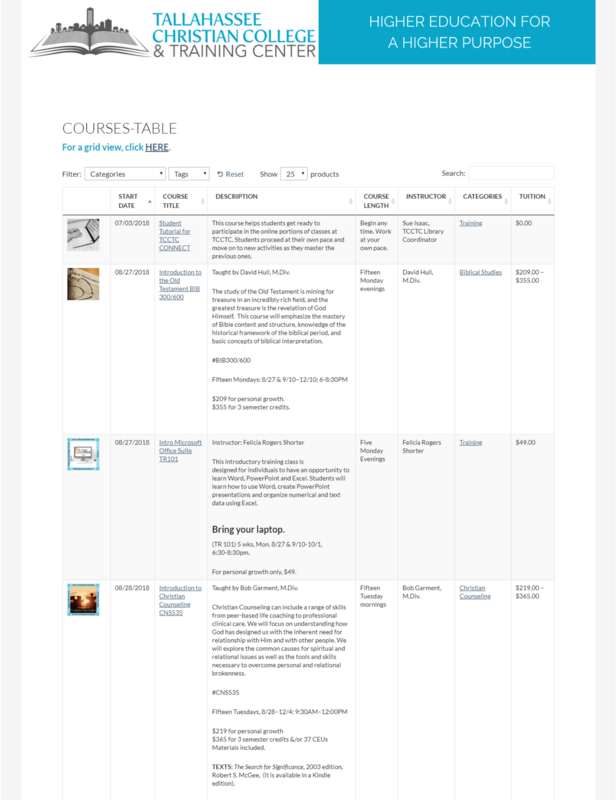 Finally, our WooCommerce Product Table is used to list the courses in an easy to sort table. Using the WooCommerce Product Table means that students are able to quickly filter the table in several ways. The table has multiple columns including the course start date, instructor and tuition fees. Students can sort the table by category or tag. When a student wants more information or to register for the course, they just have to click through to the product page. Use WooCommerce Product Table to create a list of courses in WordPress.